There might be one bloc conspicuously absent from Washington, D.C., this week amid the possibility of a shutdown: retired House Republicans. Government funding expires at midnight Friday, and despite President Donald Trump’s repeated calls to pass $5 billion for border wall funding, Republicans in either chamber might not be able to pass a spending bill that includes a provision funding the wall. “Many lawmakers, relegated to cubicles as incoming members take their offices, have been skipping votes in the weeks since House Republicans were swept from power in the midterm elections, and Republican leaders are unsure whether they will ever return,” The New York Times reported Sunday. “In recent weeks, anywhere from a handful to more than two dozen Republicans have failed to cast votes on individual bills, leaving leaders uncertain of their numbers,” the Times added. The Senate returned Monday and the House resumes business Wednesday night. 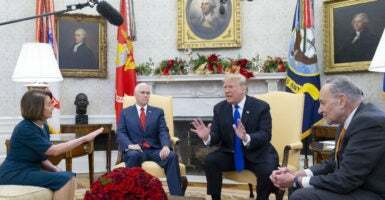 Trump met with House Minority Leader Nancy Pelosi, D-Calif., and Senate Minority Leader Chuck Schumer, D-N.Y., last week, which ended in Trump telling Schumer that he would be “proud to shut down the government” if he doesn’t get the funds he has requested for border security. Democrats want no more than $1.6 billion for border security. President Trump should understand he does not have the votes for the wall in the House or Senate. We offered two reasonable options to avoid a shutdown. We will not let a temper tantrum push us in the direction of doing something even our Republican colleagues know is wrong. Miller, however, said Sunday that the administration is “absolutely” OK with having a government shutdown if it means securing the funds Trump wants for the border wall. Democrats regain control of the House in the new year, so this is Republicans’ last chance in the House to pass border wall funding. Before the end of the 115th Congress, we must send a bill to President Trump’s desk that finally secures our border with a wall and by ending ‘catch and release’ and chain migration policies that encourage illegal immigration. We must attach this legislation to a must-pass funding bill, to ensure that it gets through both the House and Senate and to President Trump so he can sign it into law. Rachel del Guidice is a reporter for The Daily Signal. 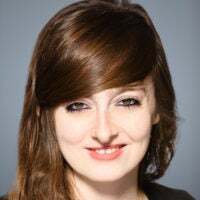 She is a graduate of Franciscan University of Steubenville, Forge Leadership Network, and The Heritage Foundation’s Young Leaders Program. Send an email to Rachel.